This week Miss Warren’s College and Career Awareness class talked about food stylists and food scientists. They learned all about what they do. Seventh graders made their own ice-cream. They got to design, style, and taste test their own ice cream, just like a food scientist and a food stylist. Students chose their own ice cream flavor and toppings. Some of the many toppings were Oreos, cookie dough, M&M’s, chocolate, and caramel to drizzle over the top of it all. 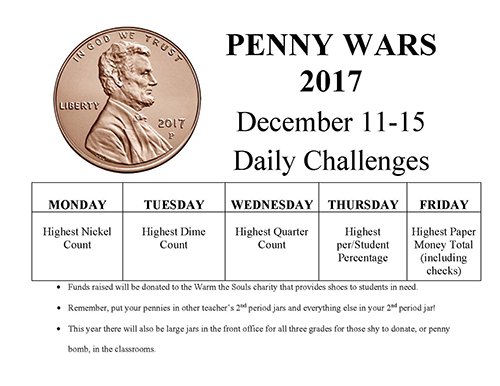 Read more about Penny Wars! 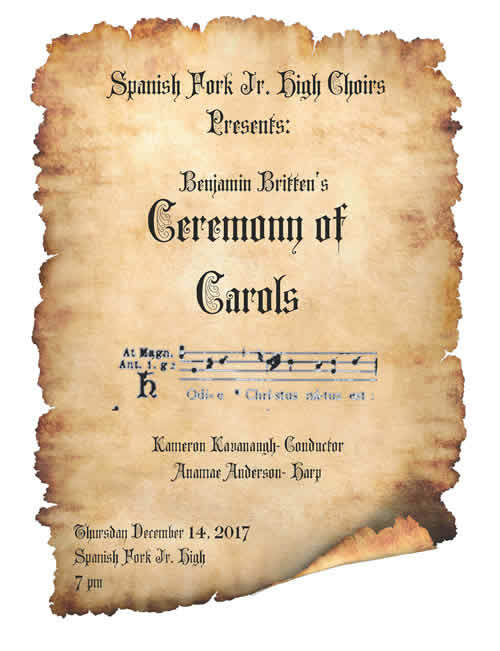 The Spanish Fork National Junior Honor Society is sponsoring a Spirit Night for our SFJH family in conjunction with Chick-fil-A. It is for anyone—everyone!—so invite all you know to have dinner at Chick-fil-A on the night of December 11, 2017. They will donate a percentage of each meal purchased to SFJH NJHS. In turn, NJHS will donate this money to our “Warm the Soles” campaign. Meals can be purchased in-store or when going through the drive through. Just mention that this order is for SFJH’s Spirit Night. Winter Captains Academy took place on Wednesday, Nov. 29th. Student-athletes from all the junior high schools and high schools in our district attended. Captains from our boys’ and girls’ basketball teams, Isaiah Jones and Macie Clark, and wrestling team captain Tate Sorensen, all had a great experience. They learned from many people about different things that it takes to be a leader. Dustin Smith, who founded the program especially for athletes, was the final speaker. His message had a big impact on all that were in attendance. Read more about An English Teachers Dream!